While I haven’t been blogging much over the summer, I have DEFINITELY been eating…and doing a little cooking as well! 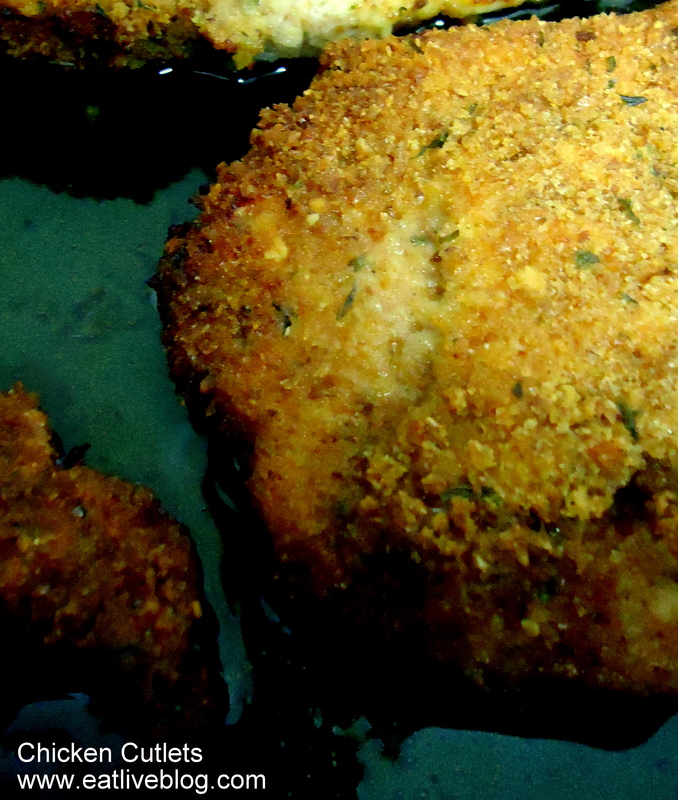 I first perfected this cutlet recipe a few months back. I wanted crispy cutlets, but there is nothing worse than standing over a frying pan. So, baking is the solution! I am not going to lie and say this is more healthy than frying, it is pretty equal. But I did use Olive Oil, so I can feel good about that! Let’s talk Olive Oil for a second. A couple of weeks back, I was having a conversation about olive oil. I also had heard an NPR show on the subject, as well as had just read a chapter in the book Fat, about olive oil. Interesting fact, Extra Virgin Olive Oil is the ONLY oil that is purely pressed olives. No pits, no extra. If you move into Light Virgin Olive Oil, you don’t know what you are getting. So always splurge on the EVOO. Well, you can say it had been on my mind. Well, as if on que, a sample bottle of Treasures of Tuscany Oil showed up in my mail box! Treasures of Tuscany Extra Virgin Olive Oil comes from the oldest oil press still operating in the province of Pistoia, Italy (region of Tuscany, Italy). The Oil Press was established within the ancient walls of the Castle of Larciano by the middle of the 10th century.Pretty cool, huh?! Another cool fact, Treasures of Tuscany Epicurean Voyage, LLC is a minority and women owned business. I like that! But none of that matters if it doesn’t taste good. So, I pulled out Eta, heated her up, and covered the bottom of the pan for the “Treasure”. Within minutes, the smell of fresh olives filled the house! It was amazing! I have never used an olive oil that fragrant before! And, I was not disappointed because that scent definitely translated into taste! The cutlets had the most delicious, delicate, hint of olive oil. Cooking is really where this oil shined. It was not quite so fragrant or tasty when it was first out of the bottle. But when it comes to cooking, I would say it is at the top of the game! 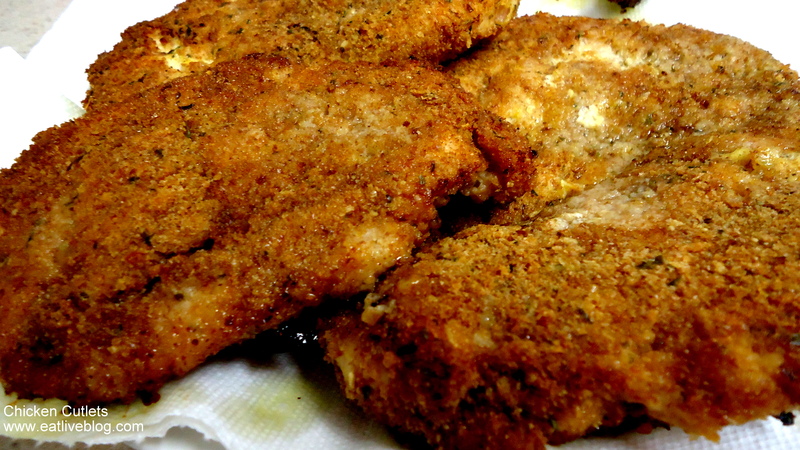 Sprinkle your cutlets with a light seasoning of your choice. Rub the seasoning into the cutlets. Continue cooking for an additional 10 minutes, or until the chicken is cooked through. 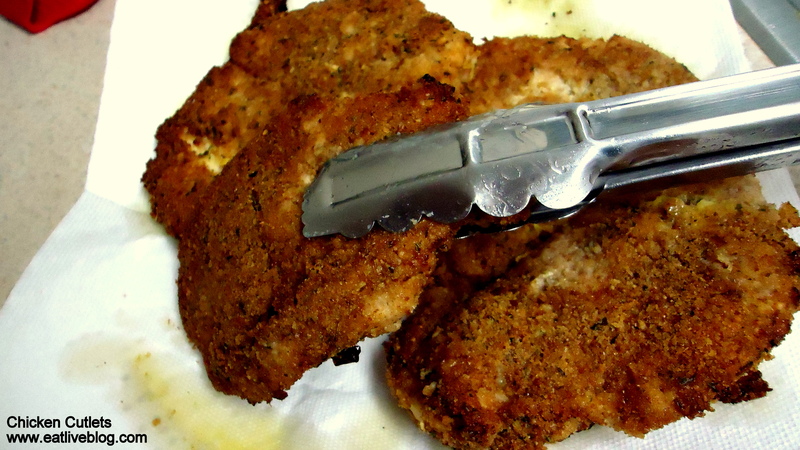 Cooking time will vary depending on the thickness of your cutlet. Serve with pasta, risotto, caper lemon sauce or on a sandwich….whatever you like! 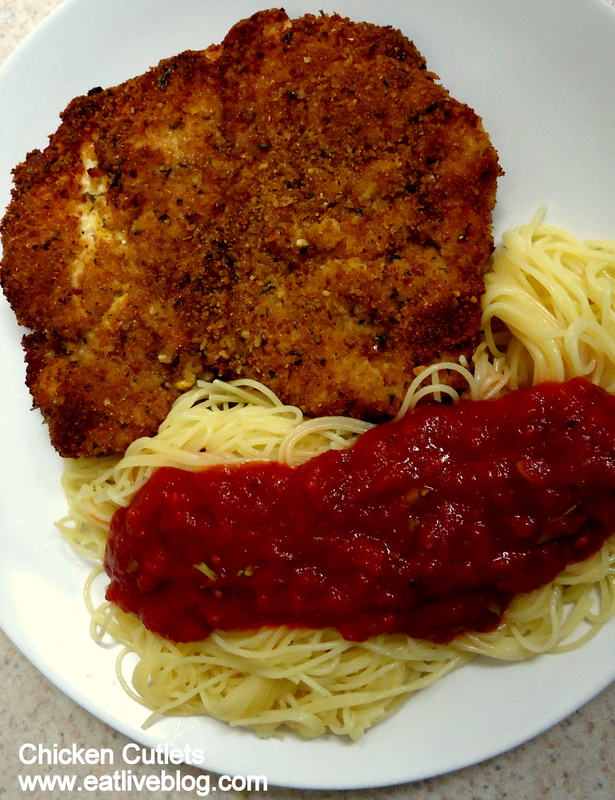 This entry was posted in Recipes, Reviews and tagged blog, chicken cutlets, cutlets, dinner, evoo, extra virgin olive oil, italian, main course, main dish, main dish recipe, olive oil, recipe, review, treasures of tuscany by reneeh. Bookmark the permalink. I sometimes go on a baked/breaded cooking spree where I coat everything in breadcrumbs. I haven’t done so in a while but looking at your pics, I want to soon! My favorite cooking oil is also EVOO. Okay, so what pan should I use for this kind of thing? I have seen a lot of recipes calling for stovetop, then oven. I have a little dutch oven but that seems rather hefty when it’s just chicken cutlets. And I have some lovely saute pans… but they’re not hefty enough, right? You could use a saute pan if it is a) big enough and b) oven safe (it should say on the bottom). I got Eta, my fry pan, at TJ Maxx last year for about $35 (cheap!!! but great quality…) and it is by far the best $35 I have ever spent! It is worth investing in a pan like this if you cook at all. It will change your life! That looks really tasty. I love simple pasta chicken dishes like this, Divine! I adore olive oil, I always up a households intake of it. My friend owns family land in Cyprus and gets gallons freshly pressed olive oil every year, it is simply delicious. I probably use olive oil and vegetable oil the most to cook with. I do have a nice array of flavored extra virgin olive oil that I like to use from time to time – herbs de Provence and butter! This is basically my go-to dinner when I don’t know what to make, but I almost always batter and fry my cutlets instead of baking them. hi reneee. i am an olive oil consumer, simply irresistable. above all, its healthy. This looks absolutely delicious! I love a nice crispy chicken cutlet. This would probably work well in my trusty old iron skillet. Yum!